Select a category on the left to view photographs of Elizabeth Bartlee's work. Or select from the categories below to view some of Elizabeth Bartlee's work. Note: Please contact Elizabeth Bartlee directly for her paintings and prints. 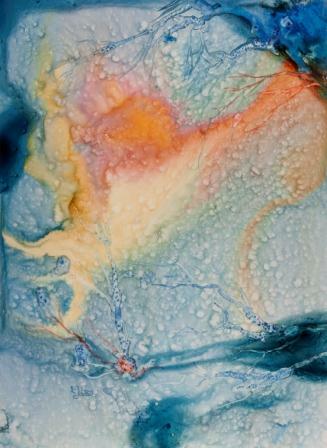 Poured Water Media - "I call it poured water painting." Elizabeth Bartlee.